Having desired expertise and experience, we are engaged in offering a wide range of HCV Lines used for Electrometric Rubber Insulated Cables. Such lines are suitable for cross linking, which is affected by saturated & overheated steam results in cooling the water. These lines are manufactured using latest technology for ensuring strength and durability. Acme Engineering was established in the year 2005. 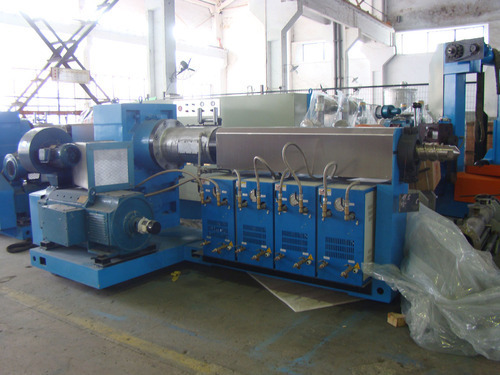 We are one of the renowned manufacturers, suppliers, and exporters of Insulation & Sheathing Extrusion Lines. Reckoned for flexibility and duribility, our range finds application in wires, Cables & other allied industries. The products offered by us are highly appreciated for their high performance. These products are available in market at reasonable prices and one can avail these products from us.